I've discovered this accidentally. You can change the title if you use the pango markup language. Right-click on the Menu then Properties. 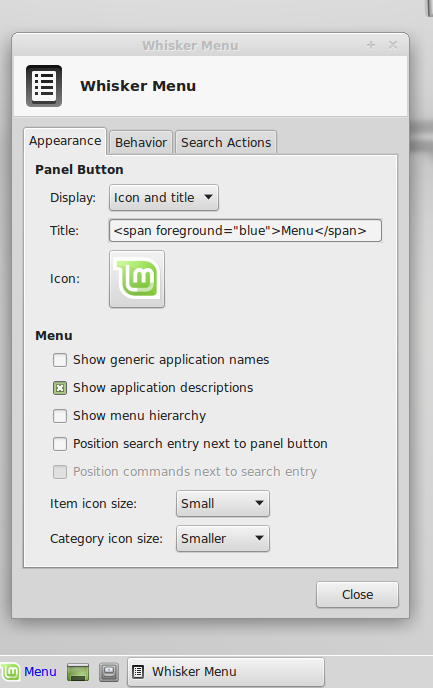 When the whisker menu settings dialog opens, set 'Display:' to 'Title' or 'Icon and title'. That way text will be displayed on a Whisker Menu button. P.S. I've contacted the developer and he will not be adding options to control the pango markup.